In the 1990’s Darren studied business, construction management and finance at Cal State Fullerton, while pursuing a business management degree. He is the founder and former president of Coastline Window, Inc., a California based company that distributes various types of building materials and supplies to developers, contractors and homeowners. He holds and maintains a General Contractor’s license in both California and Colorado. 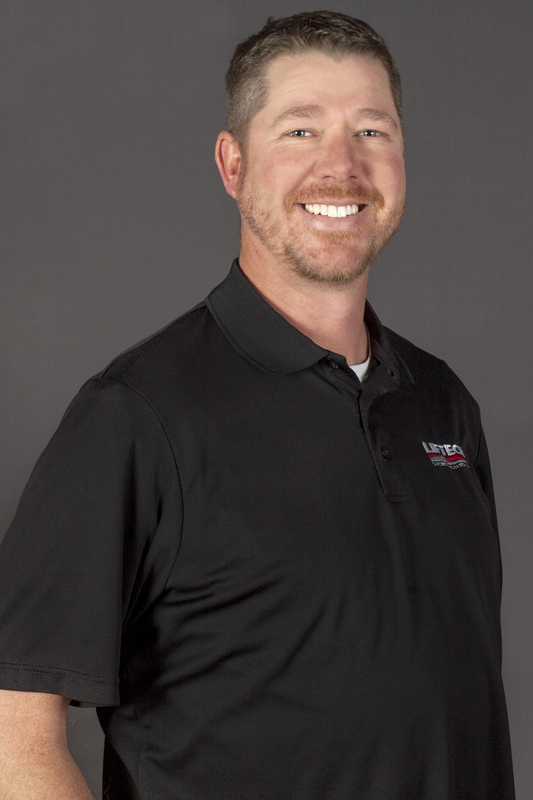 Darren moved to Colorado in 2004 and founded Woodland Homes, Inc., a custom home building company that designed and built several high-end custom homes along the Front Range, one of which was nominated by the Home Builders Association for The Parade of Homes in 2009. His diversity in the home building industry has allowed him to establish strong relationships with other custom home builders, top designers, architects, county officials, and corporate personnel. In the spring of 2011 Darren began experimenting with new and more advanced methods to raise and stabilize concrete structures. 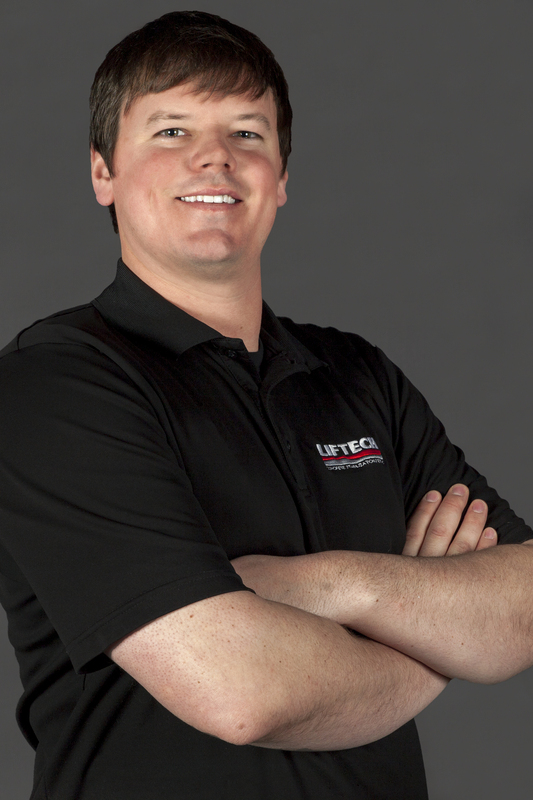 After nearly a year of planning and experimentation the process was proven and Liftech was born in the Spring of 2012. In his free time Darren enjoys being a devoted husband and father to his wife Emily and their four children, Jack, Charlie, Will and Kate. Darren enjoys camping, off-roading, skiing and a good margarita every now and then. Brian is a Denver native who attended J.K. Mullen High School and attained his Bachelor’s Degree in Geology from Pomona College in Claremont, California. 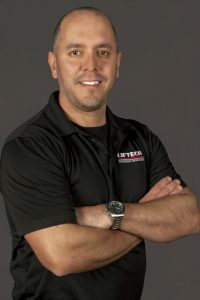 He has a diverse professional background including working in the tech industry in the 1990’s and early 2000’s as a sales and network engineer for Fortune 500 companies, and later owning and operating a local real estate brokerage, New Era Realty, for over 10 years. 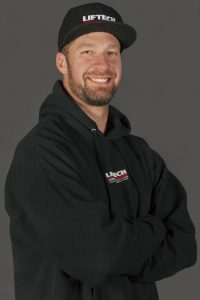 Brian represented Darren as his real estate agent on the purchase of his home in Colorado when he originally moved here in 2004. The two quickly became great friends. Darren was instrumental in Brian meeting his wife, Brenda, while traveling in Costa Rica on a “boys trip” together. After nearly 10 years of friendship, Brian partnered with Darren in 2014 to support and expand Liftech’s sales and marketing efforts. In his free time Brian enjoys spending time with his wife, Brenda, and his two children, Avery and Evan. He is an avid skier and outdoors-man who loves travelling and hitting the road with the family in their travel trailer whenever he can. He is also huge music buff who has been to hundreds of concerts over the years. And if you want to talk cars, Brian is just the guy to do that with you. Jeni has her associates degree in Turf Management with an emphasis on golf course management and maintenance, and identification and management of soils and plants. Jeni handles all of the “back office” duties at Liftech as well as being the first person customers interact with when they contact us. She also participates in Liftech’s company-wide networking and marketing efforts. 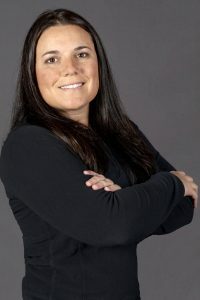 Jeni has a diverse professional background including Co-owner and Manager of a local car wash, Geotechnical Coordinator and Manager for a design & engineering firm and she was also a Regional Sales & Service Manager for Lowe’s Home Improvement. Jeni is a wonderful wife and husband to Chad and her two boys, Bransen and Bryce. In her free time she enjoys camping, four-wheeling, snowmobiling, hiking and kickboxing. She is also a big sports fan and likes to volunteer whenever she can. Chad earned his Associate of Applied Sciences degree from Northeastern Junior College. He has worked in the construction and automotive fields as both an operator and as a small businesses owner his entire adult life. Chad manages Liftech’s Southern Colorado market from Castle Rock to Colorado Springs and everywhere in-between. He is a Colorado native and a huge fan of the the Broncos, Rockies, Nuggets, and Avalanche. Chad is husband to Jeni (also a Liftech employee), and father of their two sons, Bransen and Bryce. Together they enjoy camping, snowmobiling, boating, and ATV-ing whenever they can. 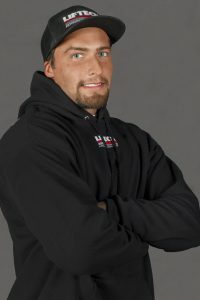 Neal has his Bachelor’s Degree in Communications Studies along with a minor in Business from Colorado State University. 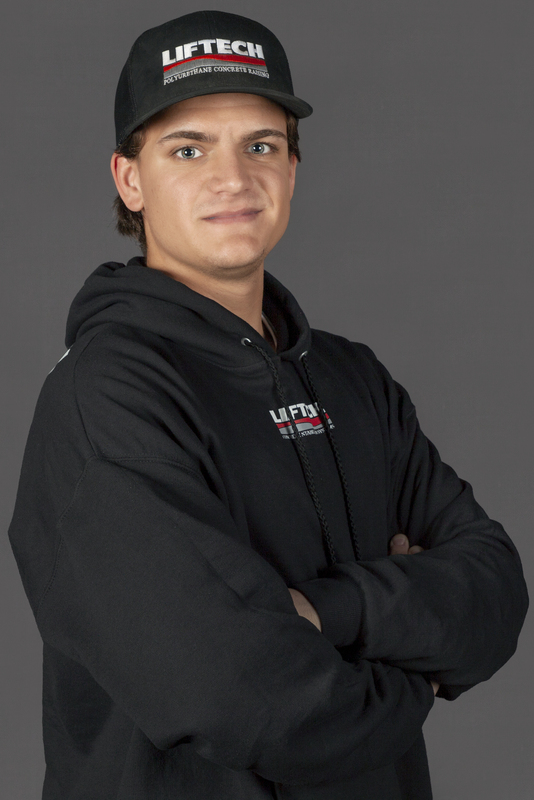 Neal started with Liftech in the Fall of 2014 as Concrete Leveling Technician, was promoted to Head Technician in 2016 and promoted again to a Concrete Leveling Sales Rep in 2018. Neal is wife to Jaymee, their baby son, Bodi and their dogs, Trixie and Boomer. Neal loves doing any outdoors in his free time: skiing, camping, hiking, fly fishing, dirt biking and going to concerts. He also enjoys swinging hammers doing home improvement projects when time allows. Neal values spending time with family and friends too. Michael was born in upstate New York and grew up in Connecticut where he graduated from Merrimack College with a Bachelor’s Degree in Economics. Michael has lived and worked in Colorado since 1999. 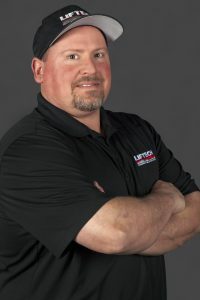 He has a diverse professional background including owning a local Fontano’s Chicao Subs chain, as well as a concrete curbing and landscaping company and he has extensive experience in the foundation repair and waterproofing industry. Michael is a single Dad to three boys, Matthew, Jonathan and Chris, two of whom work for Liftech as well. Outside of work he enjoys being a volunteer youth football coach and helping out around his church. Austin is a Colorado native who was born and raised in Golden. He took a life-long interest in earth sciences while taking undergraduate coursework at Colorado School of Mines. Austin is “Mr.-Fix-It-All” and he likes getting in the trenches with his sleeves rolled up and his hands covered in dirt. Austin was promoted from Concrete Leveling Technician, to Lead Concrete Leveling Technician and finally to Lead Structural Technician after exemplary performance. He is a proud father to his amazing son, Jaxon. He’s also a big sports buff who played basketball and lacrosse throughout school and now he enjoys snowboarding and golf in his free time. 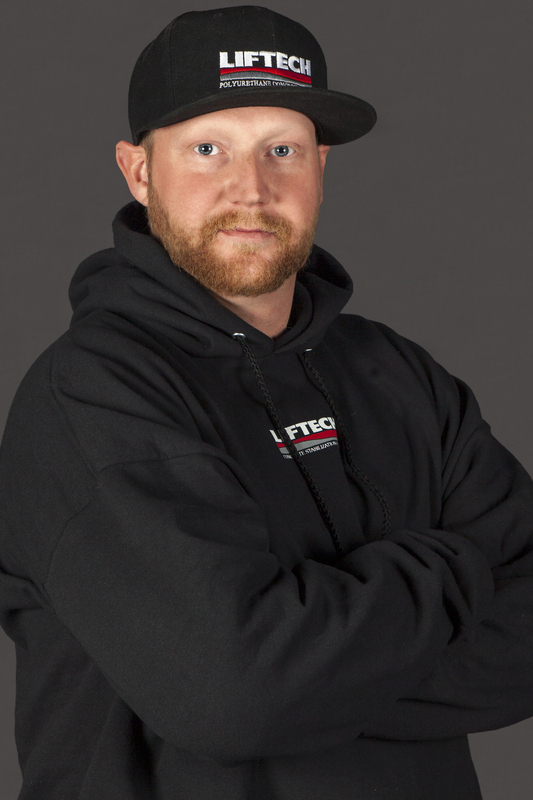 Prior to Liftech, Jamie had over 15 years in the guest services industry. He is now a perfectionist when it comes to lifting and leveling our customers’ concrete. 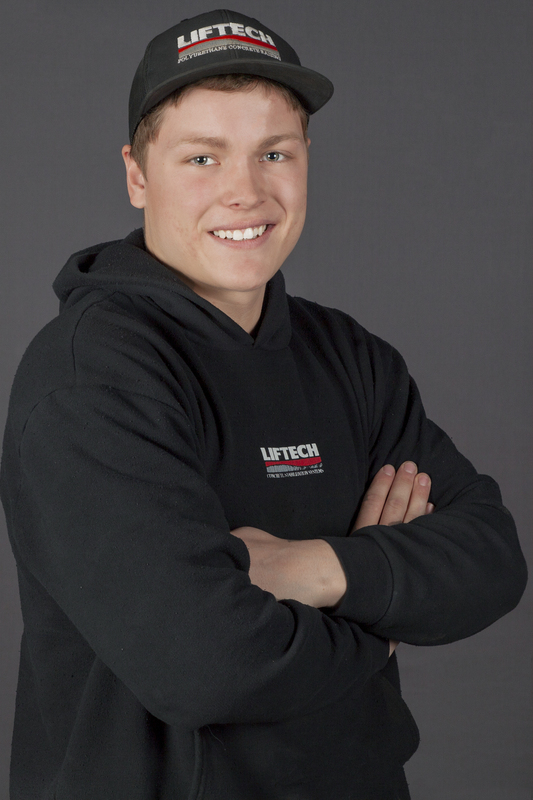 Jamie was promoted from Concrete Leveling Technician to Lead Concrete Leveling Technician after exemplary performance. 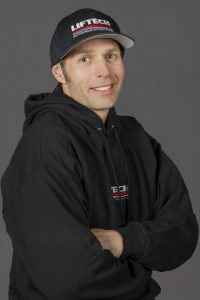 Jamie is a former competitive snowboarder and in his free time he loves loves spending time with his family including hitting the slopes with his kids and rock climbing. Anthony has a degree in Business Management and Specialized Technologies. 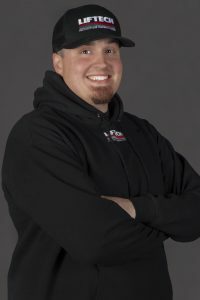 He has over a decade of successful sales experience, customer relations, dispute resolution, hiring and employee management. Anthony has spent the last 10 years specializing in recycling technologies such as metal, plastic, concrete and asphalt, along with the manufacturing of formed concrete structures, sound walls and retaining walls. 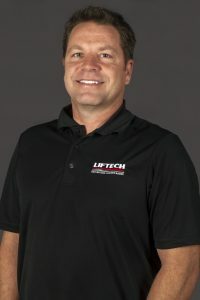 He brought this prior expertise to Liftech and with exemplary performance was promoted from Concrete Leveling Technician to Lead Concrete Leveling Technician. In his free time Anthony is a professional photographer and is well-known for creating “how-to” videos on various home-improvement topics on YouTube. Alex received his Bachelor of Arts in Psychology from Oklahoma State University. Previously he worked as an outside sales rep. for MSC Industrial Supply Company specializing in a vendor-managed inventory system comprised of primarily industrial grade maintenance items. He also has experience working as a general contractor in commercial construction. In his free time Alex enjoys traveling and loves hiking & camping, live music, health & nutrition, strength training & yoga, playing sports of all kinds and relaxing with friends and family. Jonathan grew up in Littleton and went to Dakota Ridge High School where he played football. He completed some coursework at Presentation College before deciding to dive into the working world as a technician for Liftech. Outside of work Jonathan enjoys snowboarding, camping, golfing, and playing all sports. Matthew grew up in Littleton and is a graduate of Chatfield High School. He also attended college at Colorado Christian University. Matthew was a previous supervisor of a warehouse stock and food service team. In his free time he enjoys being a part-time youth director at his church and drummer in his own band. Kody is a graduate of Bear Creek High School. Kody is our resident strength trainer who enjoys going to the gym whenever he isn’t working. He also enjoys outdoor activities and hanging out with family and friends whenever he has free time.